Though there’s pain in my chest, I still wish you the best. Video by the esteemed Ezra Kelptone (no relation). Bate forte o tambor, galera! The drumroll may have started, but the case is still empty. 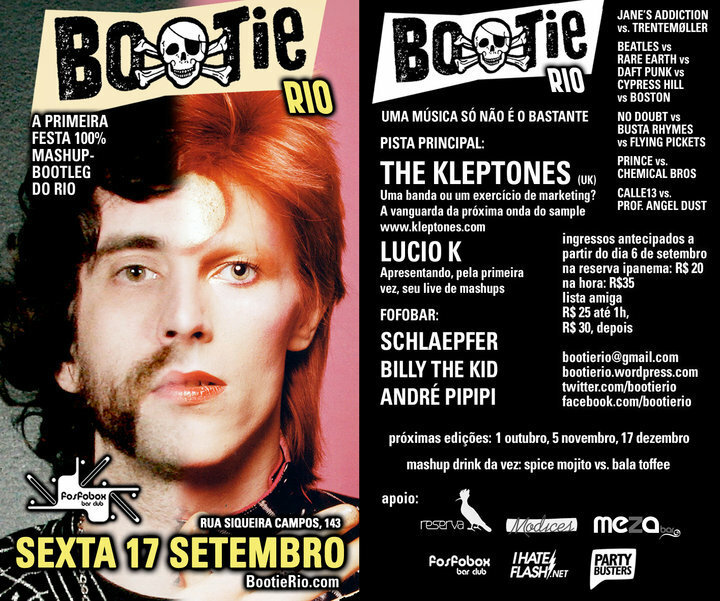 All that will change very soon, in the traditional flurry of packing, as Eric gets himself ready for his trip to Brazil to play at Bootie Rio this Friday 17th! 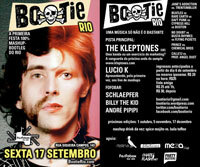 Also playing a live mashup set on the night will be Lucio K, who recently fired some questions to Eric for the Ipanema Blog – you can read the results here (scroll down for the English translation!). Thanks also again again again to everyone that’s been out to see us this Summer – Shame the weather hasn’t been as good as the shows! Also, as a thank you to all the peeps who came out to the Playgroup Festival in August, the organizers are throwing a free celebratory bash this Friday (3rd) at The Concorde 2 in Brighton – Eric will be spinning up his hard drive for a surprise set, so get yourself down if you’re around! Couple of mentions for some reading matter – Eric recently did an interview with Hiram from the rather fine Harvey Girls for the Circle Into Square blog – you can have a read here! Also, amongst many other producers and DJs, Eric was interviewed for Aram Sinnreich’s recently released book “Mashed Up: Music, Technology, and the Rise of Configurable Culture” – You can read an excerpt from the book here!